As someone who comes from Pune and who also toyed with the idea of doing an MBA, I can confirm that SIBM (Symbiosis Institute of Business Management) is considered the best B-school in Pune. They had been slack (in management) for some time, but have pulled up their socks in recent years. 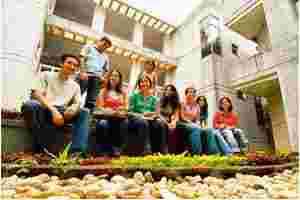 SIBM is closely followed by Symbiosis Centre for Management and Human Resource Development. But a lot of unknown institutes, including some which spam my email inbox, seem to have made it to your rankings. I feel that the rating is not up to the mark. There is no way IBS, Hyderabad can be at No. 5 ahead of some of the IIMs, FMS and IIFT. Also, SP Jain is overrated, and this is the same for the other B-schools. A better method of rating is by grouping institutions into various classes such as A, B and C rather than giving them rankings as the ranking system very often misleads people, especially prospective students. I have gone through your B-school ratings. I am a student at one of the B-schools that appeared in your ratings and I find these ratings highly overstated and miscalculated. “Objective" data that uses quantity as measure and not quality. That sees the number of teachers and not the academic backgrounds of those teachers. Number of cases written and not the quality of cases. Infrastructure which counts acreage and Wi-Fi and not the database and journals subscription. No objectivity on the rigour of the academic process. That, I guess, is immaterial to the author. No objectivity on the quality of students joined. Recruiters feedback. I would like to see the questions asked. Also, the weightage given to each recruiter as per career/salary offered. Wonder when someone will get these rankings right. A forum does “perception" ranking; someone does an “objective" study. And an aspirant is as confused as ever. You have used RTI to get information from non-participating IIMs and some other colleges. But then, you are justifying your rating by the way colleges treat their faculty, faculty effectiveness, quality of student selection, which are subjective and are not accounted in college registers. What a college provides you in RTI is no more than standardized information about faculty salaries, number of faculty/PhDs, acres of land, size of buildings/classes. How can it convey the culture around which the academic structure is built or the rigour with which students go through their studies? When we idolize the bottom-up approach, it is only fair that we also talk about involving the current students in the placement policy decision-making. After all, their lives are affected the most by this decision. It’s a thought that the CRs (class representatives) of the two batches be made a part of the committee that decides on the placement policy. The institute has a stated purpose and also an articulated pathway. Let it remain like that for some time. Cooperatives and rural community-owned institutions do have a role to play even in changing times for protecting the interests of the producers. Irmans are trained to serve this cause. By choosing to serve the companies, we are becoming just another management institute in the country. Let there be at least one institute in the country serving the need of rural institutions and people. The biggest change that I see with IRMA is that it is now “following" rather than “leading". That society per se is doing so is no excuse. Even at the time of its establishment, IRMA was a path-breaker. I am sorry it is no more the same despite many of the challenges which are similar. Secondly, IRMA will have to inculcate the basic values of putting client communities first rather than changing clients to companies who have profits as purpose as against profits as instrumentality. Anyway, this is all about evolution and there will be many phases before IRMA becomes an Institution. Though we all know which school you are talking about, it would be clearer if you had published the name, since a lot of B-schools can fall under that category, including some on your list. Congratulations Subash, for bringing in UMUC into this concept. The country needs more people with bright ideas like you. This is so stressful. The 1990s were so much more peaceful. The only time you slogged was for CAT. After that, you had to just land up with a toothbrush and some clothes and two years later get a job (and for some, get a spouse). Now, one has to worry about stuff like calculators and iPods. For students who forget their calculators or only have their laptops handy, check out www.eCalc.com for a really nice free online calculator. This article seems to have been written by someone who graduated years ago. Half the things in it are pretty bizarre. Casserole?? Every half-decent B-school has an all-night canteen these days. Similarly, why carry a bulky portable hard disk when you can carry an 8GB pen drive? And who has time to read fiction? When you want to relax you want to leave your brains behind and watch a movie on your laptop or play a videogame. Cut him slack, mate, he graduated from IIM-A. He really couldn’t afford to go to canteen every time his hunger pangs acted up. A touching description, as much as one fraught with pertinent questions. I’m tempted to scream out loud to the world about the dozen other brilliant things this institute should be known for, apart from salaries and placements. As for the memories... Being a PGP2 here, I’m already dreading having to leave very soon. Well written, Khujli. Gave me goose bumps... Even I am totally in love with this place. There is nothing else which could have possibly made me leave Mumbai and come back to this place again. Working on campus now and loving every bit of it. Though Mumbai is missed for varied reasons, IIM-A has by far been the best institute I’ve been to... The love affair started in 2003 and it still continues. There is something about this place which makes you come back. After reading S. Mitra Kalita’s write-up...I realized that I am in the same boat as her cousin Lee is/was in. For the past two years, I’ve been working as a reporter/journalist. Currently, I am working with an English news channel. I like my job, can see a future for myself in this field, the pay is decent and certainly will become better with a few more years’ experience. However, I’ve been wondering whether I should leave all this to do an MBA. So right now, I don’t know whether I should join a business channel/newspaper and do both the things which I enjoy. Or should I prepare for CAT through weekend classes and do an MBA maybe in marketing or a general MBA and hopefully get into a good B-school? A major reason apart from a better salary package is that I think staying in media for more than 10-15 years is really difficult. Media may offer a good package, but there is hardly any stability in this field... The more senior you become the more risky your job gets. Do you think I have a valid reason to do an MBA? Can’t take two years off the rat race? 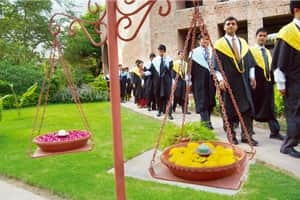 It is good to see the article on executive MBAs in India, but it was unfortunate that the article did not have sufficient details about one of the oldest executive MBA courses, the one offered by IIM Indore.